Six years after vacating his position as the longest-serving Premier of New South Wales, Bob Carr returned to politics in his dream job: as Foreign Minister of Australia and a senior federal cabinet minister. For 18 months he kept a diary documenting a whirl of high-stakes events on the world stage – the election of Australia to the UN Security Council, the war in Syria and meetings with the most powerful people on the planet. And they all unfold against the gripping, uncertain domestic backdrop of Labor Party infighting, plummeting polls and a leadership change from Gillard back to Rudd. 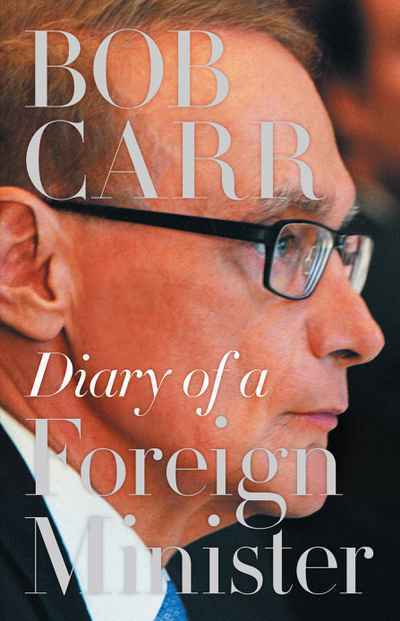 This compelling diary provides an intimate glimpse into the day-to-day workings of a foreign minister and proves that Carr is not only a master politician and statesman, but a great writer as well. Winner of the Australian Book Industry Awards Small Publishers' Adult Book of the Year 2015.